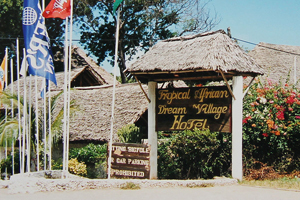 The Tropical African Dream Village is one of the biggest and more luxury hotels in Malindi. 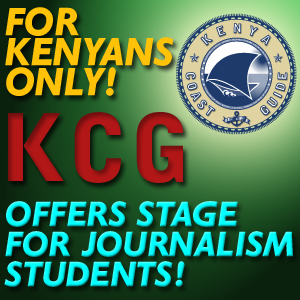 it is located about 4 kilometers southbound from Malindi Downtown at the Silver Sands Beach. The widespread facility offers 2 swimming pools, several bars and facilities for sporting activities. The management is trying to keep their guests away from the african life in downtown Malindi by providing souvenirs and jewels etc. on the facility ground. Of course no one is forced to spent his money exclusively on the hotel area.